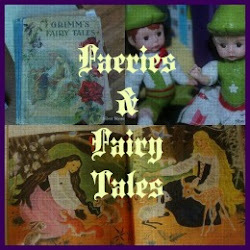 It is late in the evening as I write this, at the close of International Fairy Day, our favorite obscure holiday. We built no fairy houses this year, nor did we make a fairy garden. 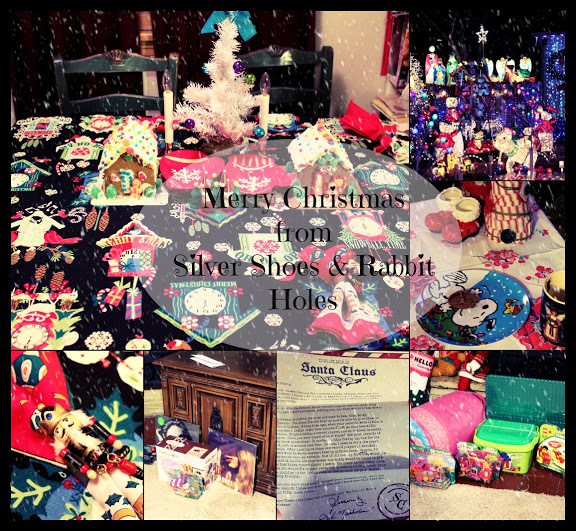 No parties, although we did have a lovely tea party with a college friend's tiny daughter, which was quite awesome. But wings were donned for fun, and books were read, and we enjoyed the bit of crafty decor we made last week. Fairyopolis: A Flower Fairies Journal by Cicely Mary Barker. 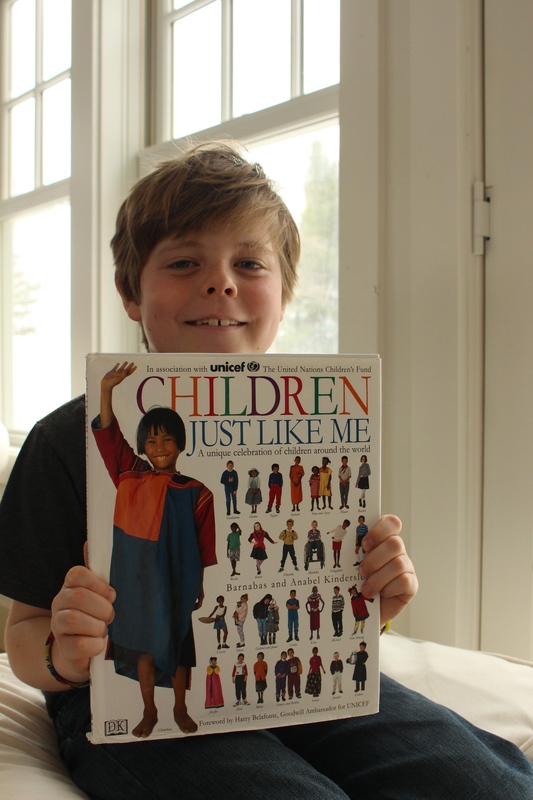 I posted about this beautiful activity book two years ago, but today, Big Sis took much better pictures of it. It's truly one of our favorites. 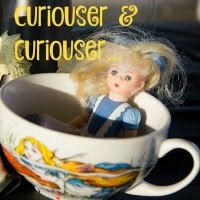 We also love How To Find Flower Fairies, which I blogged about that same week. 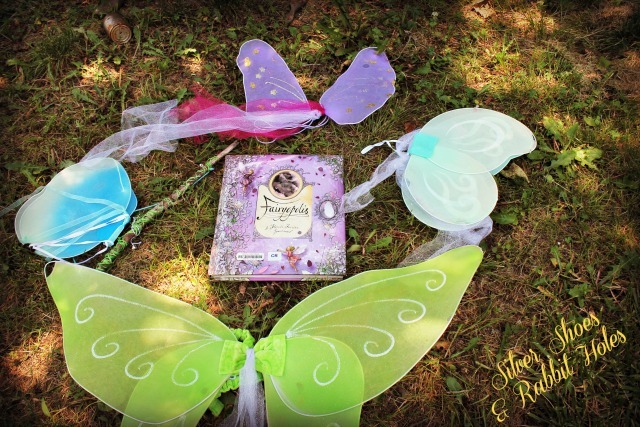 Big Sis and I would love the whole collection of Flower Fairies books. Cicely Mary Barker makes us very, very happy. I have also been in a Froudian sort of mood - as in Brian Froud. He and his wife, Wendy, are the most amazing artists. This year, I checked out Brian Froud's Faeries' Tales, which came out last year. It's pretty spectacular. Brian Froud's Faeries' Tales by Brian and Wendy Froud. 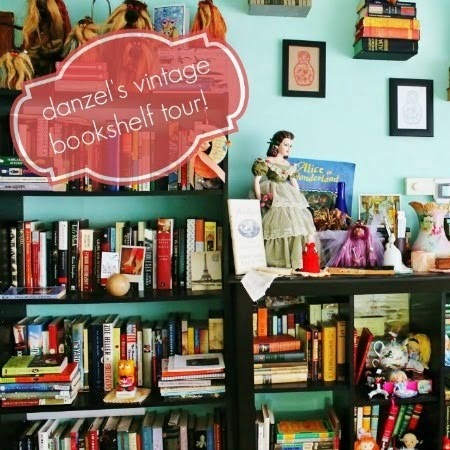 Abrams Books, 2014. The Muppets Big Book of Crafts by The Muppet Workshop, with Stephanie St. Pierre. 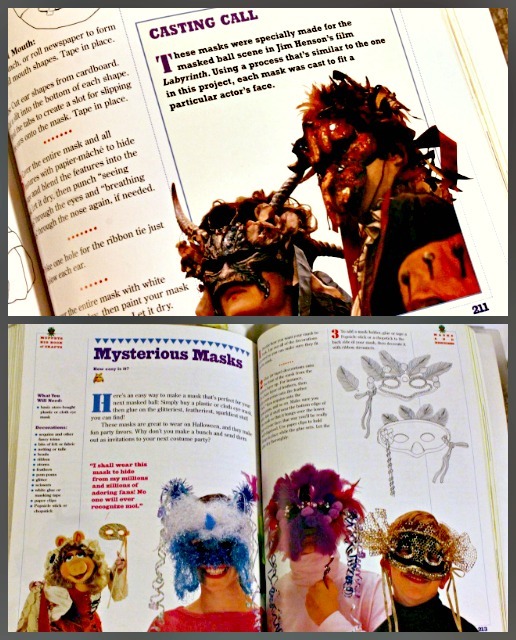 There are two mask-making crafts in the book. 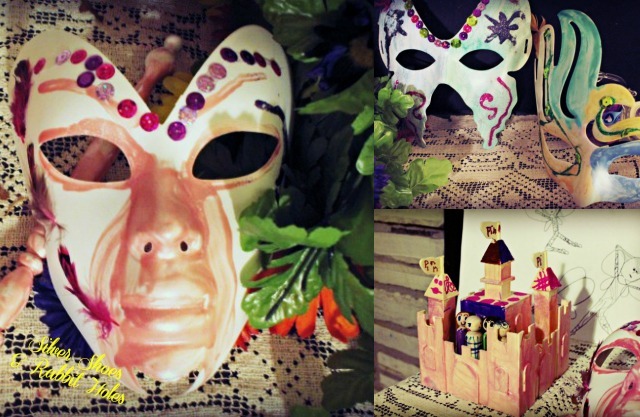 First is a "Mexican Festival Masks" craft, which involves papier-mache. They are very cool, but more complicated. In a sidebox, there is a picture of two masks from Labyrinth: "These masks were specially made for the masked ball scene in Jim Henson's film Labyrinth. Using a process that's similar to the one in this project, each mask was cast to fit a particular actor's face." 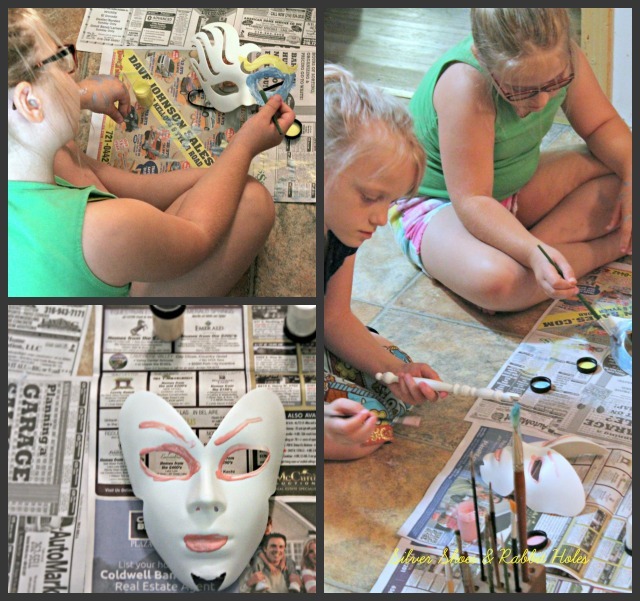 We thought it would be cool to make masks, too. When we turned the page, there was another project, "Mysterious Masks," which were pretty simple to do. 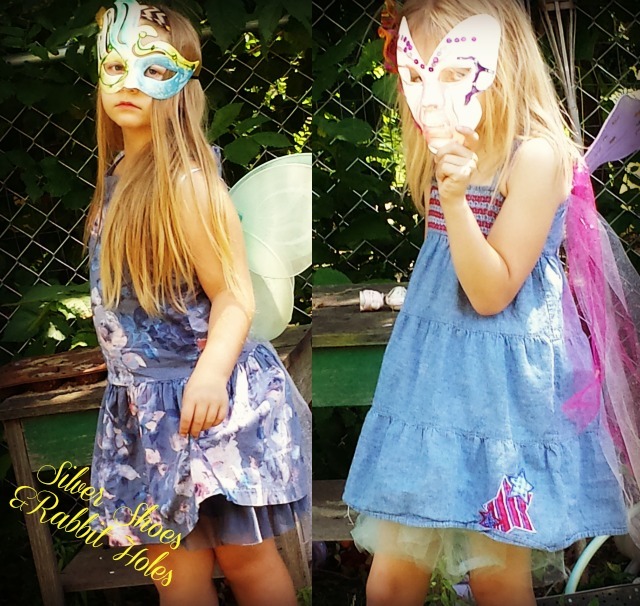 Basically, buy some blank masks from a craft store and go to town! We used paint, feathers, sequins, and glitter to decorate ours. Here are our masks in their current place of honor on the fireplace blower, Also present is the wooden castle Little Sis got at the craft store and painted. She even decorated little peg people! We worked on one more craft project last week. We made new flower fairy dolls! 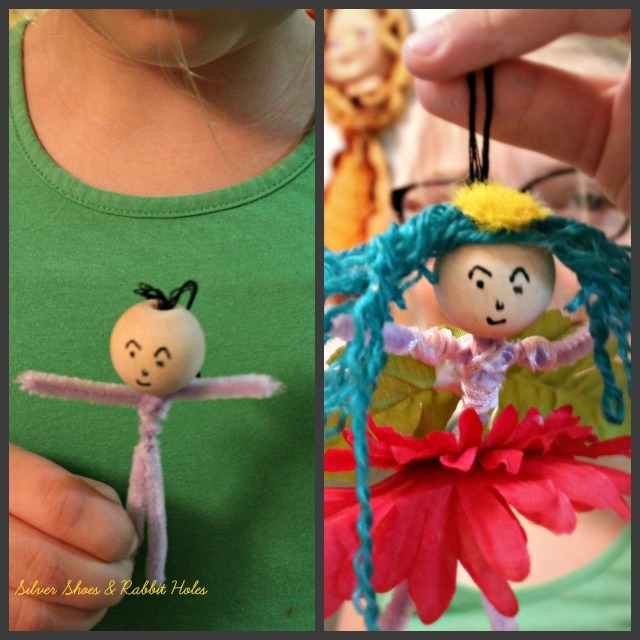 Four years ago (pre-blog), using instructions found in the old Disney-owned version of FamilyFun magazine, we made little flower fairies. They were cute, and we still have a few of them floating around the girls' rooms, looking rather worse for the wear. I wanted to make something to hang from our little stick tree, now that Easter is long over and our eggs are down. 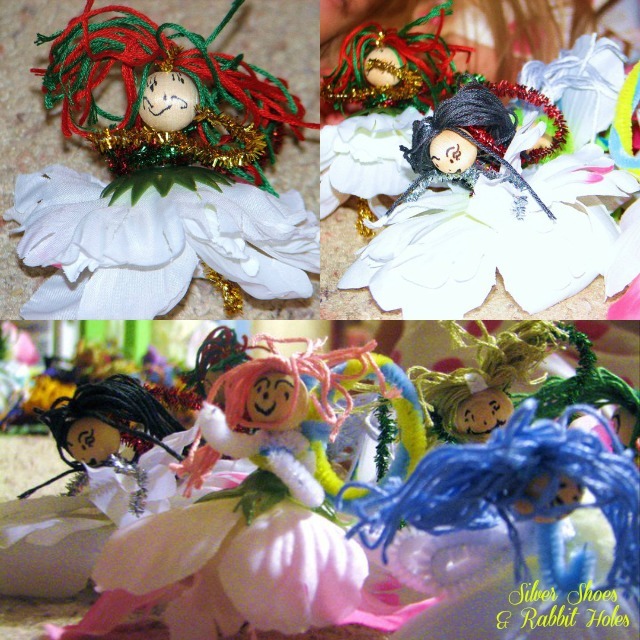 I went hunting on the internet for fairy craft ideas, and found a flower fairy tutorial over at The Magic Onions. 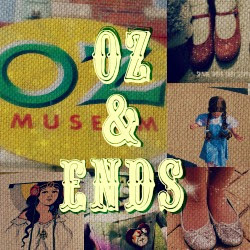 (LOVE that blog.) 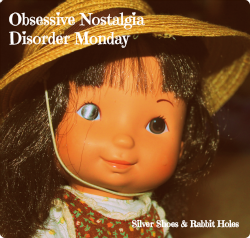 It was similar to the one I used previously, but the larger heads, yarn, and embroidery thread bodies made them look much sturdier and, frankly, more attractive. 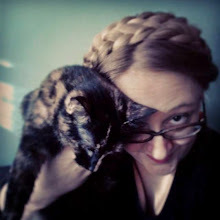 We found some larger wooden beads, pipe cleaners, and a bargain-priced flower garland (to dismantle) at the craft store, and used embroidery floss, yarn, small plastic beads, and markers from home. 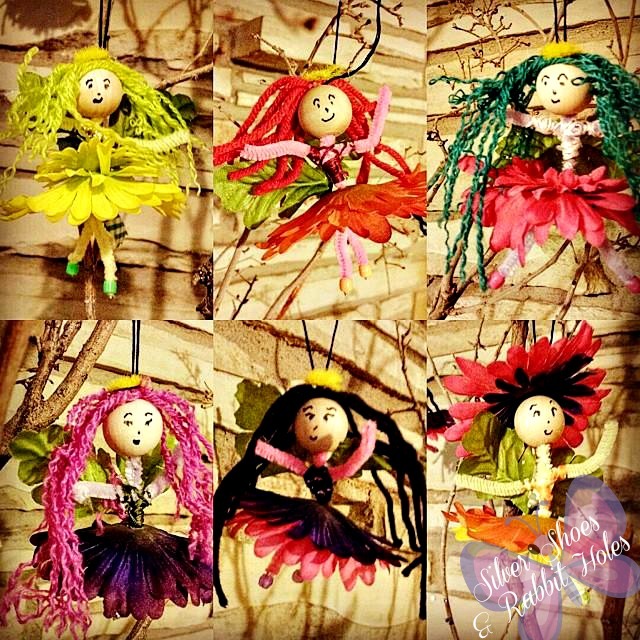 Our new flower fairies look so cheerful on our branch tree! Whew. This was a long post. I'll leave you with one last thing. While I was looking for that Labyrinth clip, I came across the official music video for "As The World Falls Down." Ah, '80s David Bowie. Enjoy!